Unfortunately, the Brunton 8097 Eclipse Compass is no longer available. You can explore other items in the Navigation & Compass category yourself to try and find the perfect replacement for you! 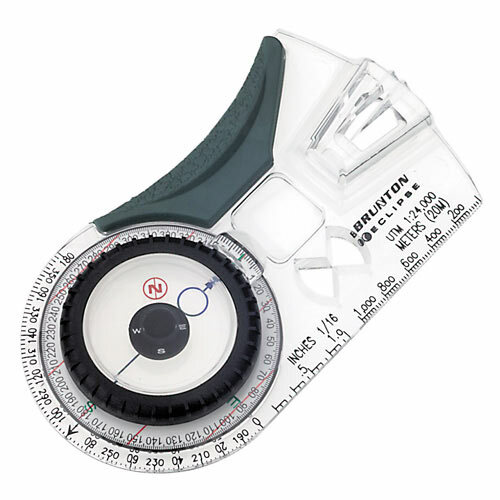 Part of the Eclipse compass family, the Brunton 8097 is designed to take map reading a step further. It features 1:24 USGS and UTM scales. Our patented circle-over-circle alignment system makes quick reading possible and the map magnifier brings map details in close. The Brunton Company warrants the 8097 to be free of defects in materials and workmanship for one year. This warranty is extended to the original purchaser only.